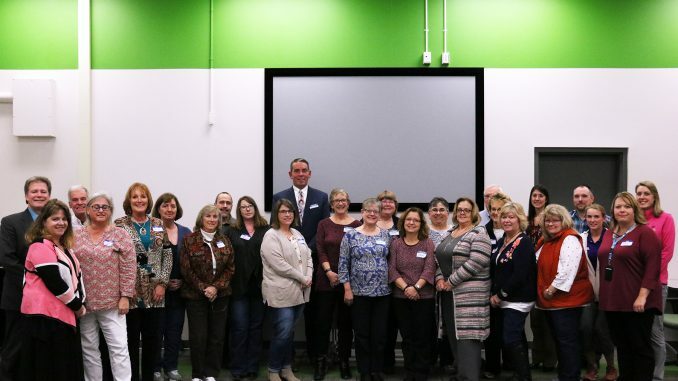 Representatives from CiTi, all nine Oswego County school districts, the Food Bank of CNY, United Way of Greater Oswego County and the Richard S. Shineman Foundation meet for the first-ever Oswego County Weekend Backpack Program Summit. 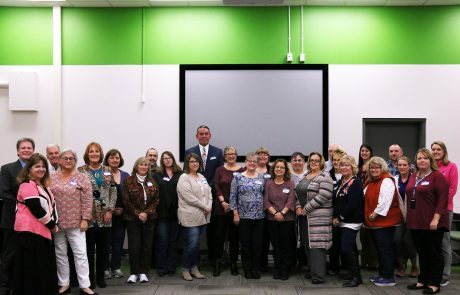 MEXICO – The Center for Instruction, Technology and Innovation recently hosted the first-ever Oswego County Weekend Backpack Program Summit. It was a collaboration between CiTi, all nine Oswego County school districts, the Food Bank of CNY, United Way of Greater Oswego County, Inc. and the Richard S. Shineman Foundation. Currently, all nine school districts and CiTi operate their own Backpack Programs, which help to send food home to students and families in need for the weekends. The purpose of the summit was to bring those groups together to discuss success stories and challenges, best practices and collaboration opportunities. During the event, it was announced by United Way Executive Director Patrick DeWine that each district throughout the county and CiTi will receive $200 towards their Backpack Program. The funds were given to the United Way from the Richard S. Shineman Foundation to be distributed to Backpack Programs in Oswego County.